Several airway companies can take you safely from a series of European cities to Denpasar (Bali), like Singapore Airlines, KLM, Qatar Airlines, Garuda etc. The traveltime from Amsterdam is ca. 16 hours. 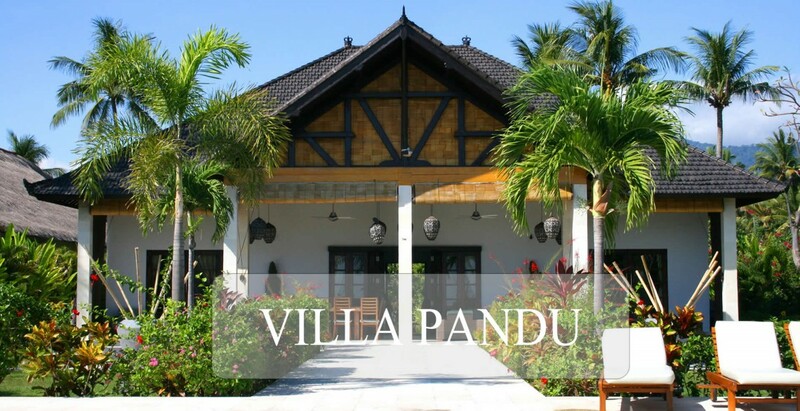 If you have made a reservation, our driver will pick you up from the airport and will drive you to Brong Bong where you will be welcomed by the staff of your holiday accommodation Villa Pandu. When you visit Indonesia you need a passport that is valid for at least 6 months. It has to have at least one empty page. Austria, Bahrain, Belgium, Great Britain, Brunei Darussalam, Cambodia, Canada, Chili, China, Czech Republic, Denmark, France, Finland, Germany, Hong Kong, Hungary, Italy, Japan, Laos, Malaysia, Mexico, Morocco, Myanmar, New Zealand, Norway, Philippines, Poland, Qatar, Russia, Singapore, South Africa, South Korea, Spain, Sweden, Switzerland, Thailand, The Netherlands, Turkey, Emirates, United States and Vietnam. The currency in Indonesia is the Indonesian Rupia (IDRP). The rate of the Euro or USD depends on the economic and political circumstances. You can request the exchange rate at Indonesian banks or at money changer offices. On average 1 Euro = 16,000 Indonesian Rupia. At the airport you can also change money. This is useful for the first expenditures. Most larger cities have ATM machines. Smaller stores or restaurants often don’t have change. It is therefore useful to always carry some small change. For tips (often about 0.25 cents) it is also useful to carry some change. Outside the major cities credit cards will often not be accepted. Tourist travel mostly with private transport. People drive on the left side of the road. It is wise to stay alert. Animals and people can make unexpected movements and the road signs are incomplete. We recommend renting a car and driver during your stay. Time difference: During summertime it is GMT +7 hours GMT and in wintertime GMT +7 hours in Bali. It is common to bargain in shops but also at markets. The language spoken is Bahasa Indonesia and is the official language in Indonesia. Many Indonesians also speak English, especially in tourist areas. Indonesia is known for its cuisine. Especially the rice table, the fried rice (Nasi Goreng) and satay are known. Often the food is much spicier than in Europe. It is recommended to drink water which is boiled first, or bottled water with a sealed lid. Food should be well cooked. Fruit is best washed before consumption. Do this with “clean” water. Bali is a tropical island and therefore you will be more likely to get ill than at home. A tropical climate with moist heat is a breeding ground for pathogens. Without wanting to exaggerate the possible dangers, it s recommended to take health risks into consideration. Recommended vaccinations are those against DTP and hepatitis A. For stays longer than 2 weeks a typhoid vaccination is advised. Bali has a tropical climate. The temperature is always around 30 degrees. The dry season begins in March and continues until October – November. Even during the rainy season (monsoon) which is between October- November and March, Bali is a nice place to be. The rainy season, unlike other tropical countries, is very moderate. This is because the rainy season is spread over a long period of time and also because Bali is a relatively small island. Under the influence of the sea the air opens quickly. There are generally many days when it’s not raining. Consider the fact that you can easily get sun burnt. Be sure to use a proper sunscreen. Cover the head, keep hydrated and walk mostly in the shade.